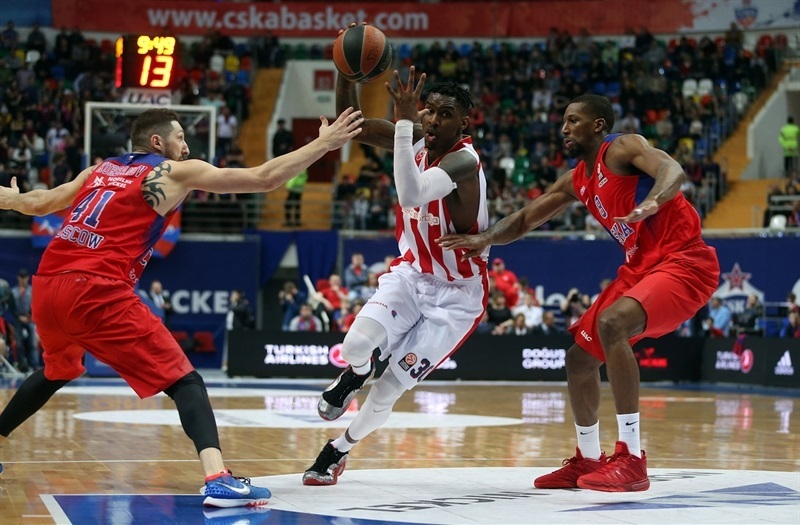 CSKA Moscow pulled out a hard-fought and thrilling 77-76 win over visiting Crvena Zvezda Telekom Belgrade in the Russian capital on Thursday to take a 2-0 series lead and close within one win from qualifying for its 13th Turkish Airlines Euroleague Final Four in 14 years. The win also extended the club’s playoff home winning streak to 16 games. 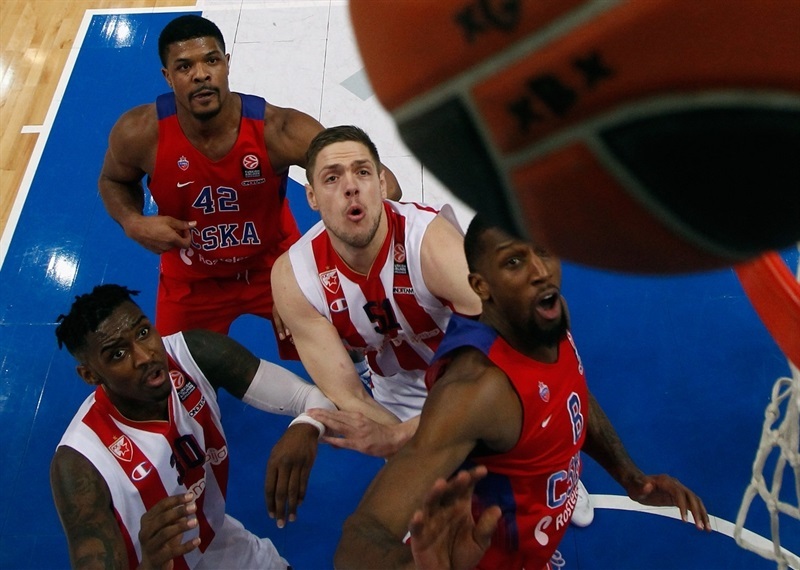 The series now moves to Belgrade’s Kombank Arena for Game 3 on Monday – and, if necessary, Game 4 on Wednesday. With Stefan Jovic orchestrating the offense, and Marko Simonovic hitting three triples in the second quarter, Zvezda led by as many as a 7 points and went up 44-48 at the break. 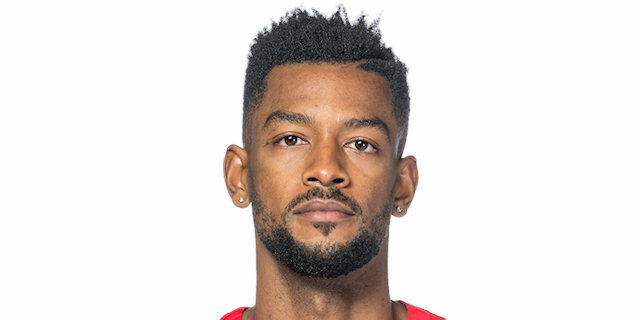 Kyle Hines and Aaron Jackson fueled CSKA’s rally that helped the hosts surge ahead by 69-62 lead midway through the fourth quarter, but the visitors answered with a 1-8 run that tied the game. Zvezda took another lead in the penultimate minute, but a Milos Teodosic triple with 65 seconds to go proved to be the game-winner. 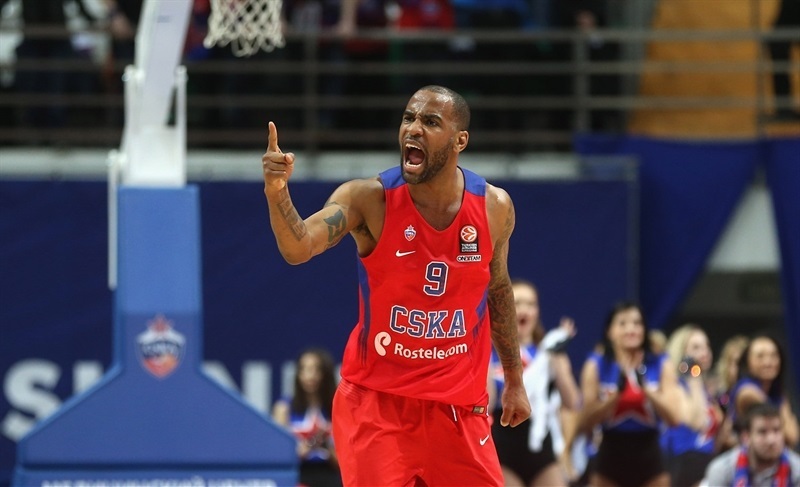 Hines had 19 points in victory, while Cory Higgins and Nando De Colo scored 13 points apiece for CSKA. Jovic finished with 15 points and all of his 7 assists came in the first half. 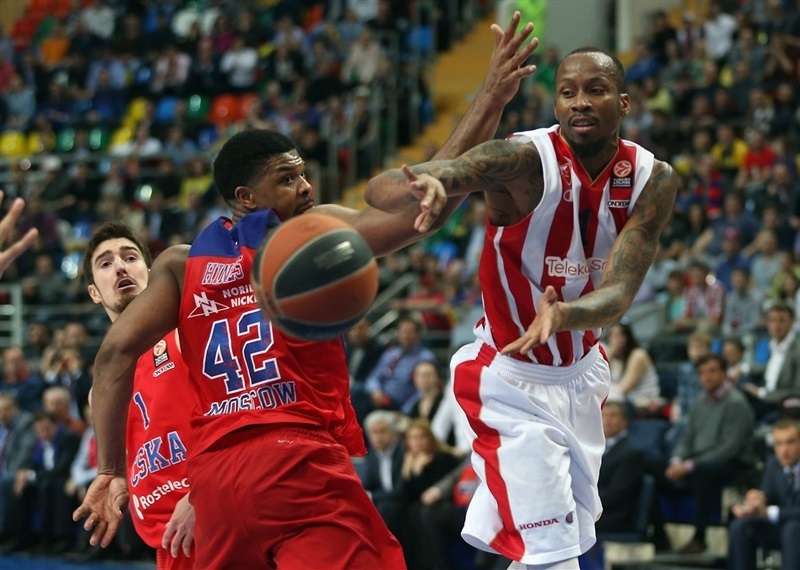 Tarence Kinsey and Marko Simonovic netted 14 apiece, and Quincy Miller added 11 in defeat. Kinsey opened the scoring with a fastbreak layup, but Ivan Lazarev countered with a dunk. Miller's jumper made it 2-4, and after De Colo drove baseline for a layup, Kinsey had a pair of layups, including one on a fast break after a big blocked shot by Miller. A Maik Zirbes layup opened a 4-11 lead after four minutes of play. De Colo scored a pair from the foul line, but Jovic fed Miller on the fast break. Zvezda held the hosts without a field goal for almost seven minutes, but Higgins and De Colo made 6 free throws that cut it to 12-13. 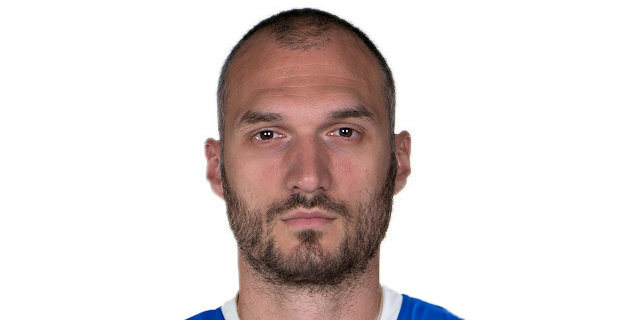 Branko Lazic hit a long jumper for the visitors, before Demetris Nichols ended CSKA’s field goal drought from close range. Kinsey hit a jumper, but Nichols bettered it with a triple to tie the game at 17-17. Hines’s put-back dunk-plus-foul gave CSKA its first lead, 20-18, before Kinsey banked in a runner to make it 20-20 after 10 minutes. After Miller made free throws on the quarter’s opening possession, Hines scored a second-chance basket inside for CSKA. Lazic buried a baseline jumper, but Higgins’s driving layup made it 24-24. Hines found an opening for a layup that briefly put CSKA back ahead, but Zirbes countered with a basket-plus-foul. After a layup from Hines, back-to-back threes from Jovic and Lazic gave Zvezda a 28-33 advantage. After a CSKA timeout, Teodosic hit a three, but Simonovic nailed a long jumper. Nikita Kurbanov hit a wide-open three, but Simonovic hit a tough triple from left corner for the visitors. After a mid-range jumper from De Colo, Simonovic knocked down a catch-and-shoot triple from the same spot. 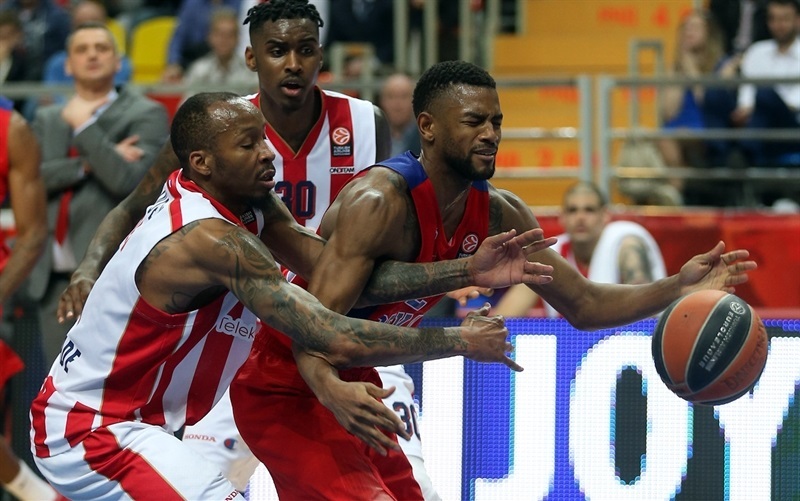 Zvezda forced 11 turnovers in the first half, and one by De Colo led to a Jovic fast break layup for a 36-43 lead. Teodosic countered with his second triple, but Luka Mitrovic drove for a dunk over Hines. Vorontsevich and Simonovic traded threes, before Fridzon’s foul shots made it 44-48 at halftime. Higgins made a runner, but Kinsey fed for Zirbes for a dunk and then knocked down a mid-range jumper to make it 46-52. However, Higgins hit a triple and Jackson drove for a layup before a put-back from Hines gave CSKA a 53-52 lead. Miller’s three-point play put Zvezda briefly back in the lead, but Jackson nailed a three-pointer and a put-back from Hines made it 58-55. Jovic buried a jumper, but Vorontsevich drained a triple and Higgins dished to Hines for a layup and 63-57 edge. Vladimir Stimac had a three-point play in the final minute that cut the difference to 63-60. Higgins made a pair of free throws, but those were the only points in the first three minutes of the final quarter. Zvezda ended its drought with a driving layup from Miller to cut it to 65-62. After a CSKA timeout, Jackson fed Hines for a dunk, and De Colo made foul shots that opened a 69-62 margin with five minutes left in the game. 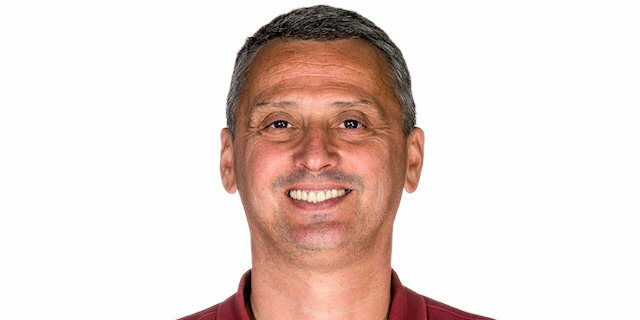 However, Jovic made free throws and a triple before a pair of Simonovic foul shots tied it at 70-70. De Colo and Hines each made a couple free throws for CSKA, but Kinsey fed Zirbes for a dunk and Jovic hit a triple with 73 seconds left to give Zvezda a 74-75 lead. After a timeout, Hines fed Teodosic for a triple and a 2-point lead for the hosts. 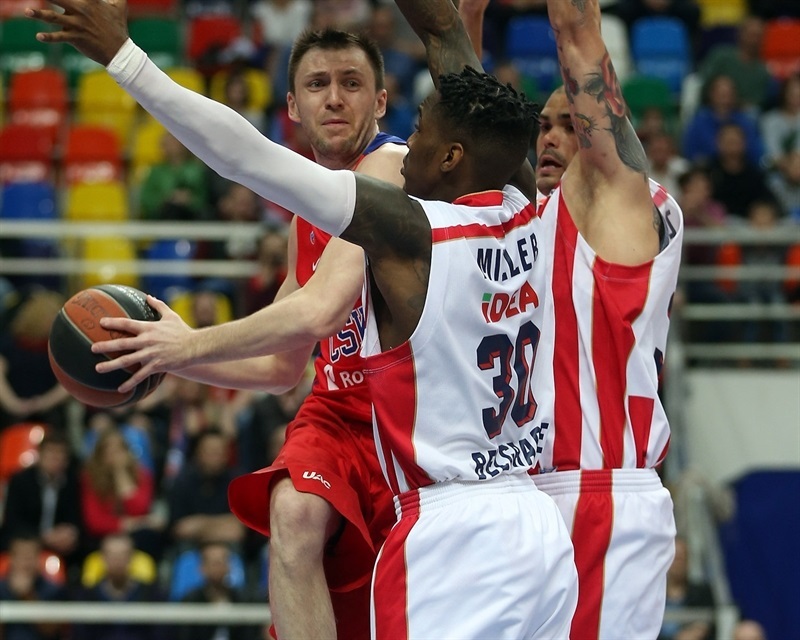 CSKA made a defensive stand, but Kinsey stole the ball from Teodosic and drew a foul with 22.2. seconds left. Kinsey only split free throws, but after a timeout, Simonovic played excellent defense on De Colo in forcing a turnover and giving the visitors the ball with 19.9 seconds. Jovic took the ball in his hands, but lost his footing and travelled with 2.9 seconds to go. Vorontsevich missed free throws on the other end, but all Kinsey could do in the remaining time was throw a half-court shot that was off the mark as CSKA prevailed. "I am proud of my team. When you hear what Aaron Jackson says, you see what we have in the locker room. We have a team. This is playoffs. People that are playing certain amount minutes in back-to-back games; they will not always have their best performance, but you need more people to step up and be in the equation. I said that after Game 1, and today we have that, and I am proud of that. This is a great lesson. No one said [the] series will be a walk in the park. I have a huge respect to the game, and to the opponent’s coaches, opponent’s players, and the opposing team. We have a 2-0 series lead, that is also for congratulations. We are one win away from the Final Four. We know it is not going to be easy. We go to our routine, analyzing, talking and preparing for the third game. The fans really helped us in those crucial moments, like they played defense with us at the same time. We put them in the equation, also. In the game, we had defensive problems in the second quarter. We said at halftime we had to change our defensive mode. And we changed it. In the entire second half we gave up 28 points. We forced turnovers, and created with our defensive performance. We had like an extra defender on our defense. Offensively we have the talent to do things, and it is something we will work on before going to Belgrade." "Congratulations to CSKA on the victory and 2-0 lead. We played even better on defense than in Game 1. Tonight we managed to hold CSKA to even fewer points, and they have the best offense in the Euroleague. We played good from the start, well and smart on offense. We had offensive problems in the third quarter, but managed to get into a dramatic finale and come a possession away from victory. Regardless, we showed again a good game in the Euroleague. In Belgrade, we will try to show our maximum. On the final possession, Jovic had the ball because he was in the best momentum and scored clutch points before that. It was a logical decision that the ball was in his hands. He played an excellent match. " "We woke up in the second half; we did not let them beat us up physically. We just picked up the intensity. It’s the playoffs and everything is on the highest level, they are professional players and have pride. Nothing is going to be easy." "It was a good game from both teams. In the first half we did not play our best basketball. Zvezda did a real good job of pressuring us and causing turnovers. Coming out of the locker room, we did a real good job of making adjustments, picking up on defense and being aggressive. It was a great team performance. You got to expect, when you have Nando and Teo who are easily the top backcourt in Europe, that Zvezda will be focusing on them, and they did a good job of doing that. We need to support them, and we made some good decisions on the bench. We know those two are our guys, we need them for the next game. 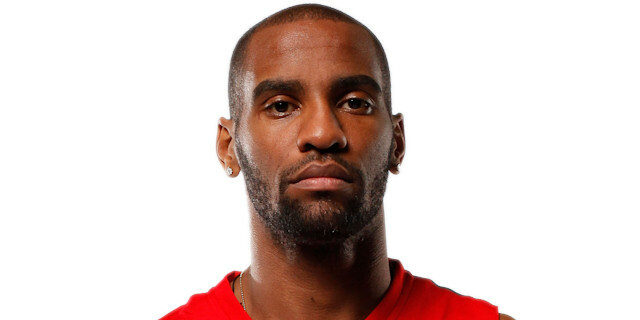 We have to go to Serbia and play good basketball." "Congratulations to CSKA on the victory. I think we played a good game, actually two good games against one of the best teams in Europe. We were a possession away from victory tonight. The series now moves to Belgrade, we will give our maximum to play another good game there. I think we will have our chances, but whatever happens, we did our job in the Euroleague this season and we are happy how we are playing. "